Today marks the end of Ryan Day’s first week as Ohio State’s head coach, a position he inherited after Urban Meyer slunk off following the Buckeyes’ Rose Bowl win. Day will face a tough task as he takes over for a man who had single-digit losses in his seven seasons. (Hopefully he does not imitate Meyer too closely.) But the 39-year-old head coach has already built on Meyer’s record of sticking it to Jim Harbaugh at the earliest opportunity. Ohio State announced Monday that Day’s defensive coordinator would be Greg Mattison, the Wolverines’ highly regarded defensive line coach. Mattison had spent a total of 11 years with Michigan over two stints. He’s worked under all three Harbaugh coaches (Jack, John, Jim) over the course of his career. 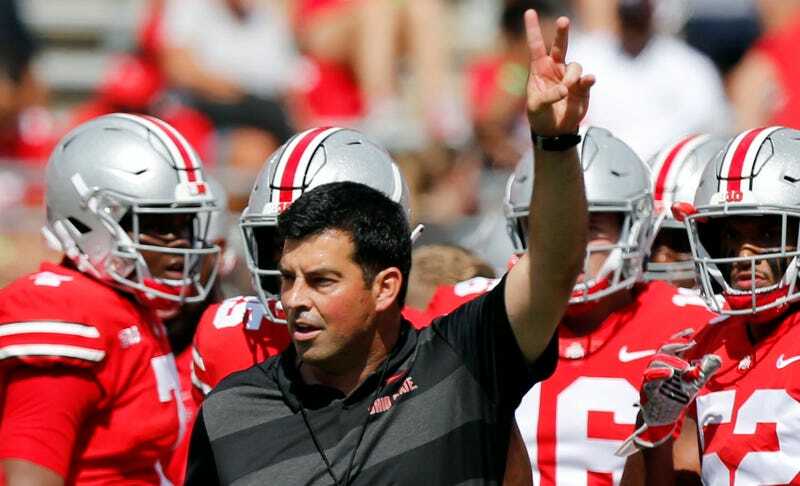 Everyone seems to like him, although it’s really easy to be more well-liked than the departing Greg Schiano, who returned to Columbus for a year after Tennessee put him in the trash can. Day followed up today with another hire. Michigan linebackers coach Al Washington will also leave to take up the same role for the Buckeyes. Washington only spent one season with Michigan; he was born in Columbus, the son of four-year Buckeyes linebacker Al Washington Sr. His ascension with the Buckeyes is more inevitable than surprising, especially given how highly regarded he is as a recruiter. Day should only need one more week to somehow orchestrate the transfer Michigan running backs coach Jay Harbaugh, Jim’s son, just for fun.